Overcast. Slight chance of a rain shower. High 51F. Winds NNW at 10 to 20 mph..
Cloudy skies early, then partly cloudy after midnight. Low 32F. Winds N at 10 to 15 mph. I have used this space to draw lessons from climbers injured on the mountain and explorers stranded in the Arctic. I can relate to “Everest,” the story of eight relatively “normal” people from ordinary walks of life who tried to summit the Himalayan Mountain in 1996 with the help of a professional guide. Four of them along with four others died on that fateful day because of inexperience and bad decisions. With this attraction to survival stories, I perused the shelves of the outdoor adventure section of a bookstore and came across, “Deep Survival,” by Laurence Gonzales, a lifelong student of survival stories and expert on survival skills. Attracted by the title, I thought I was in for a treat of great tales of survival. Instead, Gonzales instructs the reader about the psychology behind survival, while mixing in an accounting of some rather spectacular successes and failures. Gonzales explains that the part of our brain that first receives reports of danger and fear is the amygdala. The amygdala processes the stimuli and emotionally prepares us for action, whether that’s fight or flight, without much consultation with the rational part of our brain. That’s why the casual outdoor recreationalist, when confronted with danger without proper training, do things that get them further in trouble. Honnold, a superbly trained athlete, was found not to have much reaction to dangerous stimuli in his amygdala during a CAT scan. Go figure. With my aversion to risk, you will not find me summiting Everest or hanging 3,000 feet above the ground without a rope. You will find me backpacking into the wilderness of the Upper Peninsula of Michigan. My friend and I ventured into Porcupine Mountains to test our survival skills — and also our social skills while confined to a two-man tent during a 12-hour rainstorm. Yet survival skills have more application than on the trail or on a mountain. We can apply them in our everyday lives and in overall society. The amygdala not only processes stimuli from fear and danger. It also triggers the flames of anger. An aggressive move from an adjacent driver, a thoughtless comment from a politician, a nonsensical statement by a columnist, or a provoking post on social media, all get sent to the amygdala for reaction. The response, driven by emotion, is often equally aggressive, thoughtless, nonsensical and provoking. And that’s just for starters. A better first step might be: whoa! What just happened? The sooner the intellect overrides the amygdala, the better the outcome. Emotional responses get us lost in the wilderness and misled in society. Anger is helpful as a motivator, but useless as a plan. It entrenches adversaries and ends communication. Moreover, it sullies our reason. Gonzales points out that people lost or injured in the wild that rely solely on emotion make bad decisions. Anger arises from blaming others for your predicament. Why didn’t my hiking companion pack a survival kit? Why didn’t my boating companions let someone know our route? Why did I let them talk me into this? The most important step for those who survive is to realize no one can help them but themselves. Survivors take complete responsibility for their survival. Gonzales suggests that survivors also find motivation in getting back to loved ones, a connection to needs larger than themselves. Whether lost in the wild or in the world: We can’t change our predicament. We can’t change others. We can only change ourselves — if not for ourselves, then for the greater needs of family and society. We don’t need to step foot on a mountain to learn that lesson. 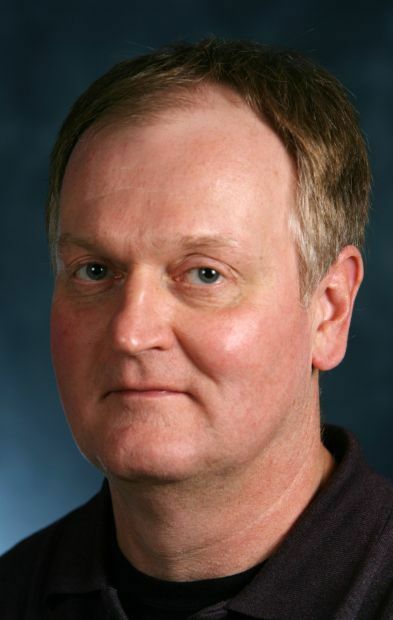 Eric Frydenlund is a columnist who lives in Prairie du Chien and writes about nature, politics, and social issues from a systems perspective.